Ricardo Valverde: Experimental Sights, 1971–1996, an exhibition at Vincent Price Art Museum (VPAM) at East Los Angeles College in collaboration with the UCLA Chicano Studies Research Center (CSRC), is the first survey of Valverde’s extensive body of work. A resident of Los Angeles, Valverde worked in diverse styles and from multiple perspectives. His photographs and multimedia pieces focused on many subjects, including families (particularly his own), neighborhoods, and cultural practices in Los Angeles and in Mexico. 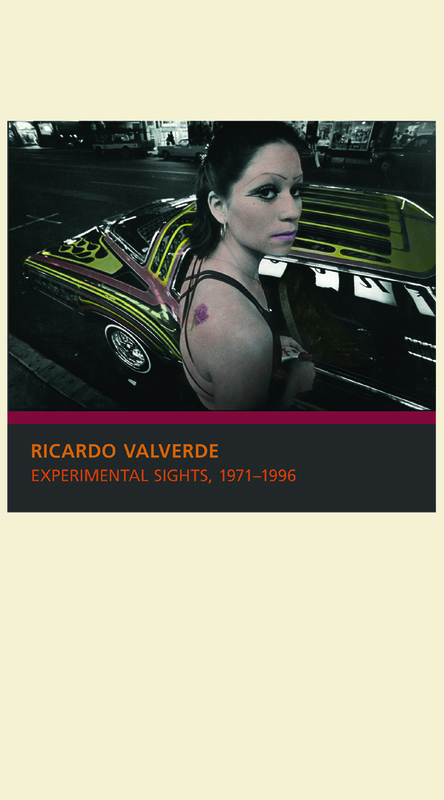 The essays presented in this catalog—by Cecilia Fajardo-Hill, guest curator of the exhibition, Armando Cristeto Patiño, and Jesse Lerner—explore the different aspects of Valverde’s art and argue for his importance as an experimental artist who ranged far beyond the documentary aspects of photography. The volume opens with a foreword by Karen Rapp, VPAM director, and Chon A. Noriega, CSRC director, and features forty-two color illustrations that represent Valverde's innovative artistry.